The Client is a leading managed print solutions provider offering a wide range of office printers, multifunction devices, copiers, and software solutions to help its clients manage information and workflows efficiently. With over 60 years’ experience in document management outsourcing, the Client currently has over 15,000 employees across 160 countries. The Client tried various methods to generate sales leads (offline/online advertising, sales promotions, mobile marketing, etc.) but with the amount of manpower, materials, and budget allocation these methods required, the cost per lead was spiraling. Additionally, outcome from their previous campaigns was difficult to measure and the resulting leads offered little potential for conversion. 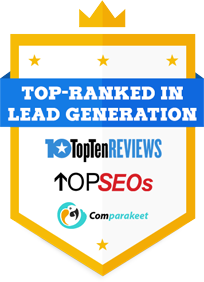 Looking for a more straightforward lead generation method, the Client figured telemarketing provided the best value because while it was not the cheapest in terms of cost per lead, it was superior at producing high quality sales leads to effectively make back the difference in cost. The Client had one goal: To increase the number of highly qualified sales leads and business appointments delivered regularly to its sales team to keep them constantly engaged in revenue-generating activities. The Client specified the target criteria: companies with 500 to 2000 employees and annual revenue of $50 million to $2 billion. Success call criteria were based on the prospect’s agreement to be contacted by Marketing Consultants of the Client. Callbox segmented a list of potential customers in Singapore, Thailand, and Malaysia, targeting decision makers in Manufacturing, Financial, Retail, and Insurance industries. For this campaign, Callbox chose a technically sound telemarketer who could communicate product features, benefits, and advantages fluently. The Client provided training on product specifications to equip the caller with sufficient knowledge to address technical inquiries. Because of its technical nature, the calling process was largely unscripted. Every call contained questions which required off-the-cuff responses resulting in spontaneous and more personal dialogue with prospects. Experience proved to be an important part of this campaign particularly in terms of handling technical questions and convincing prospects to try out a new product or service. To ensure that the Client’s expectations were met, Callbox set up stringent quality checks at every stage of the calling process. Each outbound call was recorded and reviewed to constantly measure the caller’s performance against the Client’s requirements. The Client asked for regular reporting on the progress of the campaign so it can track daily performance against goals at a glance. As needed, conference calls were held between the Client, Callbox agent, and Campaign Manager to brainstorm new ideas and address challenges encountered by the caller. As a direct result of this campaign, the Client experienced a surge in inbound inquiries, giving its sales team sufficient prospects to follow-up. The calling campaign generated a total of 139 highly-qualified sales leads at 26% contact rate, with dozens more who agreed to be contacted by the Client’s sales team. Overall, cost per lead was reduced to 40% of what it would have cost using the Client’s previous lead generation methods. The Client was very satisfied with the results and plans on working with Callbox again in the near future.